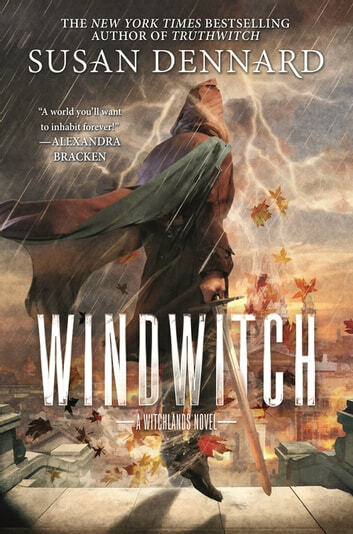 WINDWITCH by Susan Dennard was incredible from start to finish. Filled with action, heartache and some of the greatest moments of character development I’ve ever read, this book is sure to become a favourite of 2017. The world-building is so rich, it practically leaps off the page. Enemies become allies and allies become enemies in this stunning sequel to TRUTHWITCH. I want to take a moment to talk about the writing. It was so beautiful that I’d take the time to analyze every paragraph, every sentence, and every word. I feel like, in a way, Dennard’s writing can be compared to the gorgeous, imagery-like writing of Laini Taylor. I’ve never really considered this before, but the world-building and character development is so complex, so rich, it’s reached that level. This is the best Dennard book to date. Like in TRUTHWITCH, this novel is told in 3rd person, multiple POV’s. We have characters already familiar to us: Merik, Safi, Iseult, and Aeduan. However, Dennard adds a 5th voice: Vivia Nihar, Merik’s older sister. Having this many voices in one book can go really wrong, but Dennard is flawless. 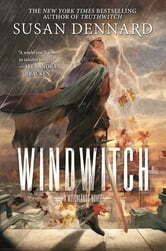 In fact, WINDWITCH is one of the best examples of a book told in multiple POV’s. The transitions were so smooth, that when character A’s POV ended, even though I wanted to know more about character A, I was satisfied enough to continue on with character B. There have been times when I’m reading a book with only two different POV’s and the voices weren’t different enough. I understood that these two characters had different personalities, traits and ambitions, but the voices sounded too similar; as if I were reading a book with 1.5 POV’s rather than 2. I’m really astounded at how flawlessly Dennard pulls this off. Moreover, Dennard usually followed a specific pattern that helped make these transitions smooth. The first couple chapters had only 1 POV per chapter but eventually a POV would change mid-chapter. These POV “pairings”, as I’m calling it, were usually Merik and Vivia, Iseult and Aeduan, or Merik and Safi. Merik and Vivia, and Iseult and Aeduan were usually in the same location or general vicinity, so it made sense to have pairings like these. Like I said, this is one of the best books with multiple POV’s and if you’re writing a book like this or planning to, I’d recommend you study Dennard’s style. I think it’d be really helpful for writers to see why this style worked for Dennard and whether or not it could work for you. The character development is so amazing, along with the sort of relationships we see between different characters. This book is Merik’s arc and the focus is mostly on him. He has so much rage and grief and regrets, that it’s funnelled into a new identity: the Fury. There’s also a focus on Vivia, and Merik & Vivia’s relationship as siblings/rivals. This relationship was the most prominent and I loved every moment of it! Iseult/Aeduan fans will be very happy with this book. These two create a temporary alliance and start traveling together in the Contested Lands. Their chapters ended up being my favourite, mainly because Aeduan is my all-time favourite character! There was the makings of a slow burn romance and I mean slowww, but this book starts them off as could-be-friends and allies, which is something I’m really happy about. Some readers might be a bit disappointed because, in a way, that strong friendship between Safi and Iseult, the one that drew readers to TRUTHWITCH isn’t as prominent. Safi and Iseult are definitely fighting to reach each other in WINDWITCH but it ends up more about how these two fight for survival without the other. These two characters are so strong together, but how do they fare without the other to lean on? Some very tough and heartbreaking decisions are made in this book. The reader ends up seeing a different side of the relationship we first encountered in TRUTHWITCH and I really liked that. WINDWITCH takes the characters we loved from the first book and has them forging new, exciting and sometimes difficult paths. I was slightly confused at the beginning because a character death (that happened in TRUTHWITCH) is mentioned and I honestly couldn’t remember it happening. This was more on me than the book. I did read book #1 about 1.5 years ago. The last couple of chapters, the POV’s would change three or four times in one chapter and my heart was actually racing. All I could think about was getting to the end, it was so good! I’m very excited for book #3 BLOODWITCH – which happens to be Aeduan’s arc  – and now plan to re-read TRUTHWITCH. I cannot recommend this series enough.